I always find getting this type of formation shot involving a non aerobatic team difficult. 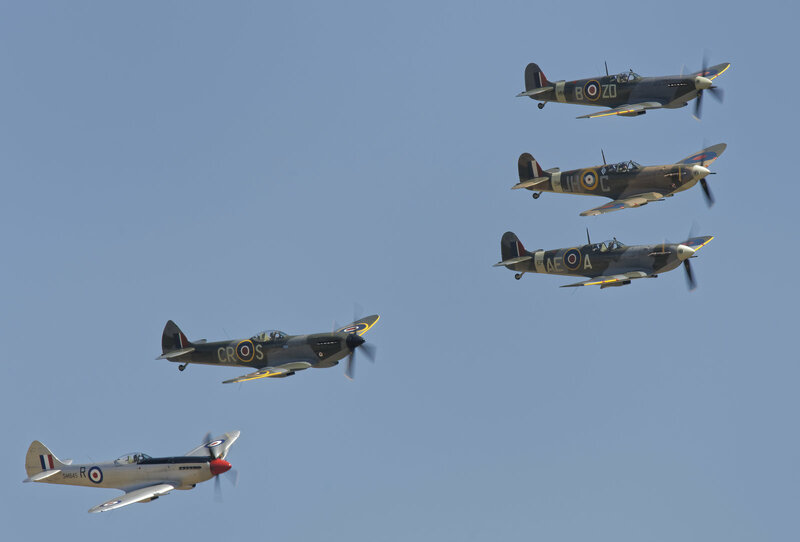 This shot of 5 Spitfires was taken at the Flying Legends airshow at Duxford on Sunday. You did a great job of the iconic airplane.